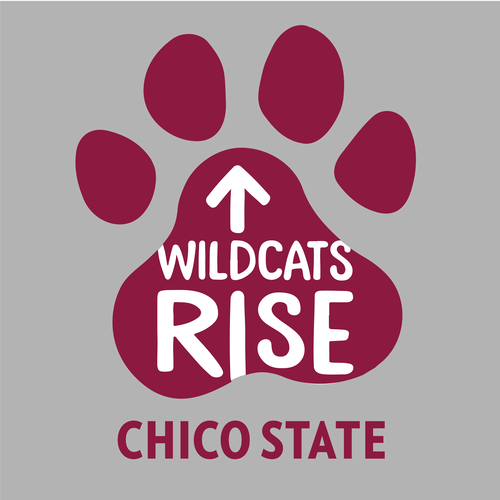 Thank you for supporting the Wildcats Rise Fire Recovery Fund, which was established to allocate financial resources to those who were directly impacted by the Camp Fire, which struck Butte County on Thursday, November 8. Your gift will support Chico State students, faculty, and staff in need of aid for clothing and household goods, electronics such as phones and laptops, transportation, childcare assistance, temporary housing, school supplies, or meal assistance. Please note that if you submit your gift and get an error message with a blank bullet point, the address you have entered is not the correct billing address associated with the card you are using. Please use a different billing address or card and try again until you get the thank you confirmation screen. Thank you for your support.